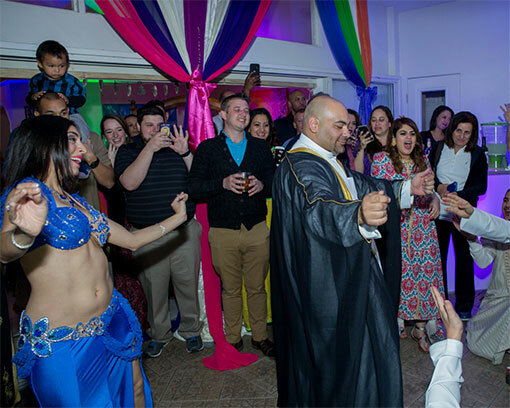 Hire the top bellydancer in Orlando, FL for corporate events, weddings, birthday parties and more. When it comes to master level, family-friendly shows, I have you covered! ♥ Winner of 8 titles in large competitions including the highest of all, Belly Dancer of the World! ♥ Highly experienced, and the reviews and videos are all online to prove it! Bringing Jennifer to your city to share her knowledge and perform is easy. With an online menu of workshop topics to choose from and experience teaching internationally at various festivals and events, your local community will enjoy the material and clear teaching style. Competitions are an amazing way to take your dance to the next level. In this book, get an insider’s perspective into what it is like, how to prepare for one, and how to avoid costly mistakes. ♥ Jennifer is a winner of 8 titles in large competitions including the highest of all, Belly Dancer of the World! Jennifer was absolutely wonderful, she’s very talented and has incredible belly dancing skills. She Danced in our wedding ? and everyone loved her and she keeps all guests hyped and interactive. Hiring Jennifer was truly One of the best decisions we made. Thank you Jennifer and you looked gorgeous!!! ? Woo hoo, you can stop your bellydance entertainment search! The awards, reviews, and most importantly, videos where you see the technique and charisma showcased is why this multi-award winning Orlando entertainer is the most requested bellydancer for parties and events. View solid proof of what to expect from this World Champion belly dancer in Orlando, FL and not a load of hype and pretty pictures like so many other dancer sites. Learn about the latest events, videos, latest blogs and "Aha" moments to keep you inspired.